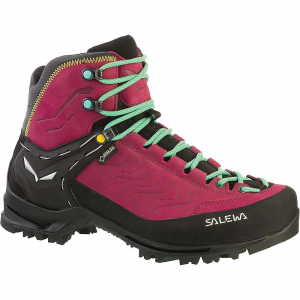 I have used the same pair of Salomon Pro Ice boots for over 10 years now, for Scottish winter climbing and summer alpine climbing. I have found them to be absolutely superb, to the point where I don't really think about them when I'm using them - the sign that a piece of kit is doing it's job, in my opinion. The toe of the boots are becoming rounded after years of climbing rock in them and I may need to replace them. One of the few pieces of gear I have actually worn out through years of heavy use. A wonderful boot and I hope they still make them. 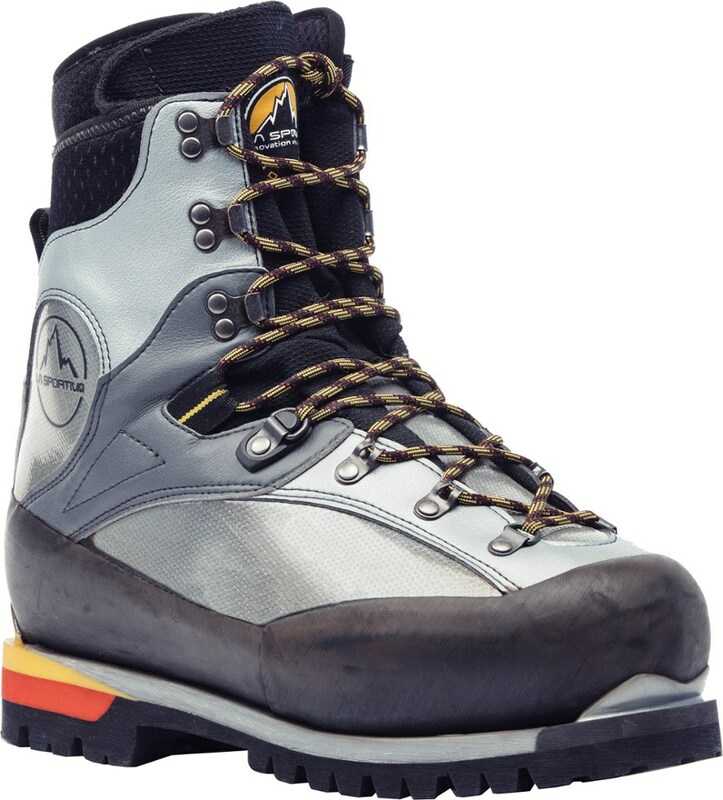 The lacing system stands up to tough use; I've gone through about 15 pairs of laces with these boots and the eyes / hooks show no sign of wear at all. I wore them for years without the plastic tongue reinforcers as well and they seemed to work well. I've taken to using them now. I was just getting into ice climbing last season and couldn't stand renting gear anymore. Got a pair of "used" Pro Ice on bBay for $100. Could NOT believe the deal I got!! These suckers were BRAND new! And though they're a size larger than I normally wear I LOVE THEM!!!! I've hiked, snowshoed, climbed ice and drank beer in these guys with NOTHING but happy feet!!!! UPDATE 12/14: I still love these boots, but I am disappointed in their lack of traction for the approach to ice. I have to throw on some kind of device or walking's a pain. These boots are light and requires no break-in period. 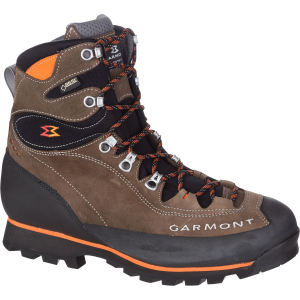 These boots are light and requires no break-in period. I put them on fresh out of the box in the mountains of Indian Himalaya. 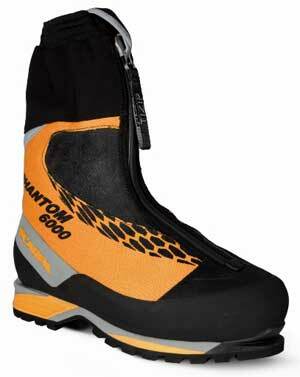 Though it was meant for ice-climbing, I used them as general mountaineering boots. I subject them to front-pointing, side-edging, glisading or just walking, no problem at all. Only complaint is that you need to nikwax (waterproof) them. I got my feet wet in the slushy afternoon snow. 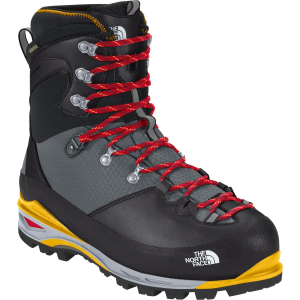 I saw the other climber wearing these supposingly ice-climbing boots to 5430m peak without any complaint. While I had to drag my heavy Salomon Pro-Thermics all the way up to the summit. I think I will leave my Pro-Thermics home and bring my Pro Ice next time if I were to climb peaks of 5000m - 6000m. These are the most comfortable boots I've owned. I've had La Sportiva, Rachelie and Zamberlain and nothing has come close. I've used them several times already and no blisters yet. The ankle flexibility is great and they have a wide toe box, perfect for my D width size 12s. 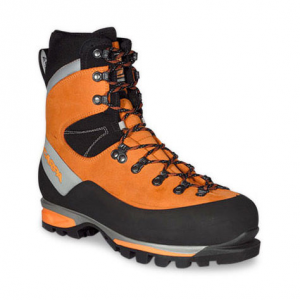 They are the lightest full shank boot I've used and they are quite warm. I haven't had them out in -20 C weather yet but they feel as warm as anything I've used. The plastic tongue inserts are amazing when you finally get them in. They can be a bit of a bother on the side of a hill and they are not comfortable to leave in all the time. The boots are fully functional without the inserts. I've led Alberta Grade 4 without the inserts and they are great. The Pro Ice has been discontinued. 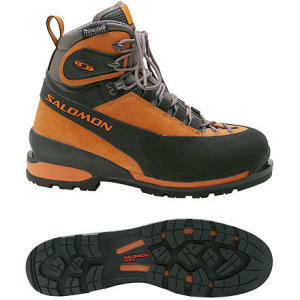 The Salomon Pro Ice is not available from the stores we monitor. It was last seen February 21, 2007	at Backcountry Outlet.